A luxury double ended whirlpool bath made from the highest grade sanitary Lucite acrylic. Multiple Whirlpool & Spa System choices with Chrome Jets & Controls. Upgrade to 1900 x 900 for only £120 Inc Vat. Select above. If you would like to upgrade your bath with extra jets, lighting or shell reinforcement check out the related items below. 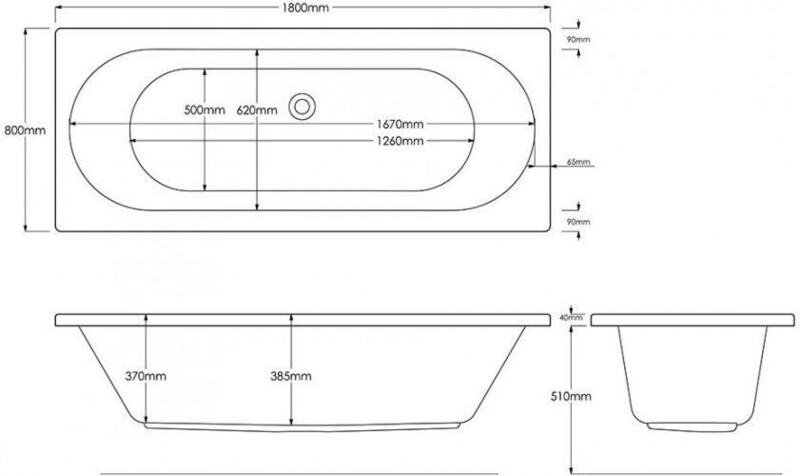 All baths are manufactured in the UK in our factory, if don't see what you are looking for please contact us. 5 - 7 average UK mainland delivery time. Please call 01489 797 130 or 0800 028 6174 Mon - Fri 0830 - 1730.